Are your medical laser PMs past due? Get your lasers back in spec and in compliance with Medical Laser PMs and Medical Laser Service. Medical laser service, maintenance, and repair for the medical laser industry since 1995. Our medical laser service engineers have more than 20 years of experience. 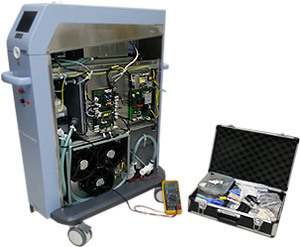 Medical laser service, maintenance, laser PMs and calibration checks for the Southeast and Mid-Atlantic regions. For General, GYN and ENT Surgical Procedures. 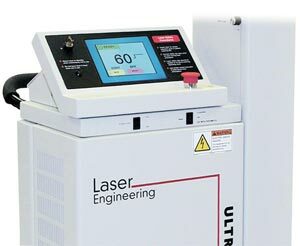 The CO2 laser system is offered in 40, 60 and 80 watt models. 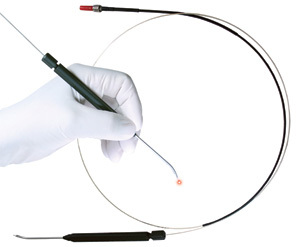 The UltraLase CO2 fiber is for use with LEI Ultra MD CO2 Laser Systems. Replacement footswitch assemblies and preventative maintenance parts compatible with many Lumenis, Coherent and Dornier laser systems are being added now. Lumenis, Coherent and Dornier are registered trademarks of their respective owners and are not affiliated with Southeastlaser.com. Effectiveness Combined with Portability... The LaserScope Aura Laser System is a compact, highly portable, single wavelength laser designed for office-based... learn more. For Urological Procedures... The VersaPulse® Select was designed for urology surgical procedures and can effectively treat a variety of urological... learn more. For Those Specializing in Vein Therapy... The VersaPulse® V (vascular) was designed for vein therapy and can effectively treat a variety of vascular... learn more. For Surgical Procedures... The Illumina 755 CO2 laser system by LaserSonics was designed for a variety of applications including laparscopic procedures.... learn more. Learn more about Southeast Laser Systems.